If you’re not a trained singer, the secret to success in singing a love song to your beloved — is to pick a song in your range that stays within an octave, or an octave and a half without long, soaring notes that need to be sustained and to find the right key to sing it in. I wouldn’t try to run a marathon without seriously training, but I could probably make it through a 10K. We can apply the same concept for untrained vocalists. Don’t pick “I Will Always Love you,” “Firework,” or “Sarah Smile.” They’re vocally acrobatic even for professional singers. Enchant and lure your love without straining your throat or bystanders’ ears by picking a love song that is easy to sing. I went through as much material as I could in a limited amount of time. 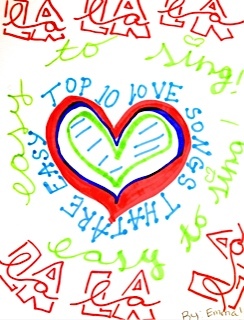 Although I know I’ll have many additions to this list, Valentine’s Day is two days away, and someone might need this now, so here’s my list for 2013 Top Ten Love Songs That Are Easy To Sing! I looked for love songs that were not too overplayed (except for two), that were works and expressions of love without hesitation in the lyrics (no I love you, buts, or I love you, please don’t hurt me — that’s not the love song you want to sing to your fiance, husband, wife, boyfriend or girlfriend celebrating your affections), and most importantly, songs that can be sung even if you have a little trouble carrying a tune. I know I am missing something obvious, but there’s five bonus tracks here on the top 10. 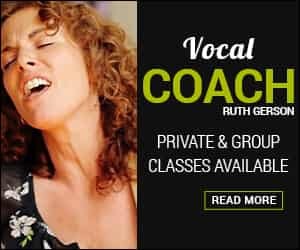 Before you get started, you may want to follow along with a couple of vocal warm-up videos online. 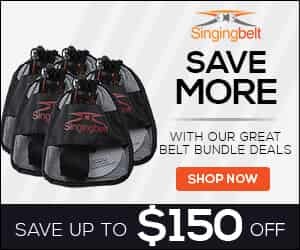 Make sure you figure out what key is best for your voice, and if you’re going to sing it a cappella, use a pitch pipe or you can use a tone generator on a free chromatic tuner app, insTuner), so you don’t start too high or too low. “Dark Eyes”: Bob Dylan (Not expected, perhaps, but I had to include it, because, if your love is deep into the deep, and happens to have dark eyes… this could be the one. It’s one of my favorite love songs. It’s off of Dylan’s Empire Burlesque).